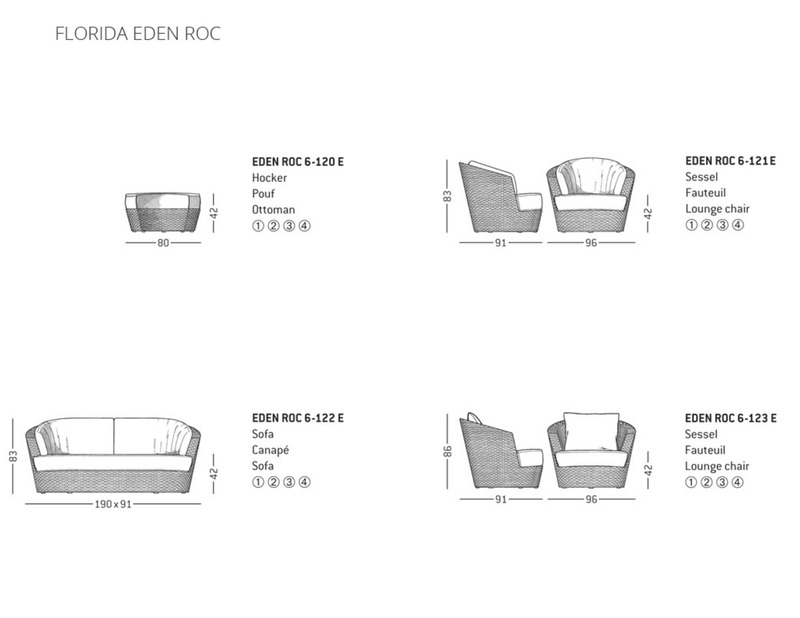 Eden Roc Custom Sofa by Rausch and swivel lounge club chair with nesting ottoman and side table provide an ideal seating solution. 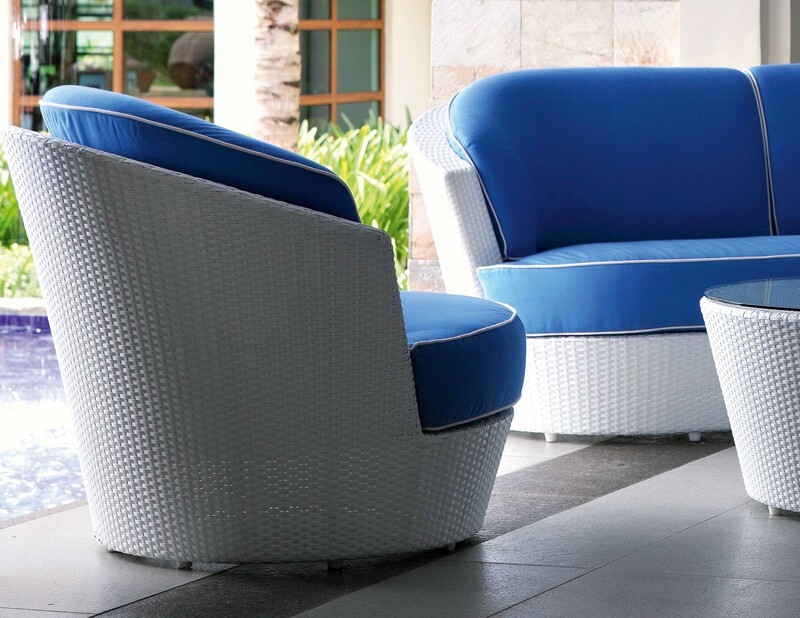 Shown here in vinyl rehau wicker and customizable in rope, ferrari batyline, or stamskin with luxury Sunbrella® fabrics (or COM) with quick dry foam. 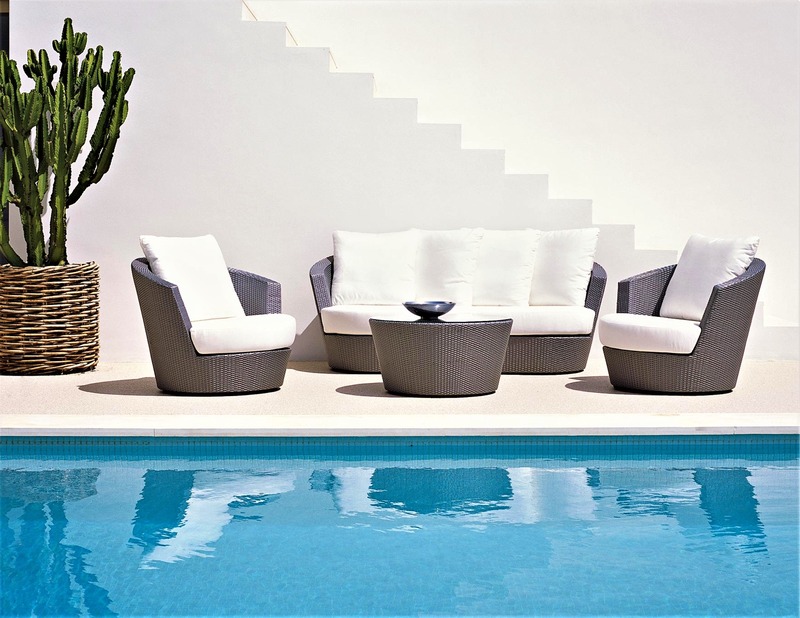 Weatherproof for commercial contract these items can be found at over 1,000 of the worlds most luxury hotels, clubs, yachts and cruise ships worldwide and are able to handle even the harshest of weather elements. 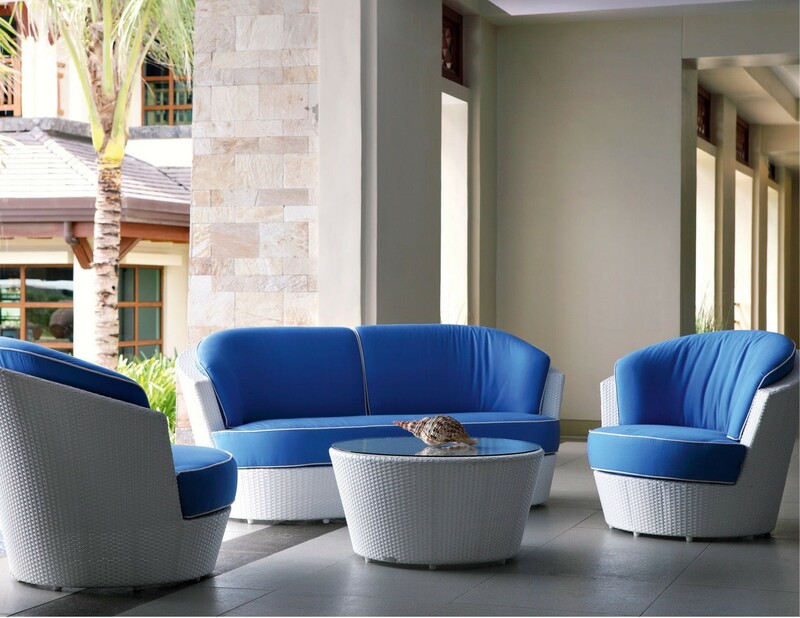 Eden Roc Custom Sofa by Rausch and swivel lounge club chair with nesting ottoman and side table provide an ideal seating solution. 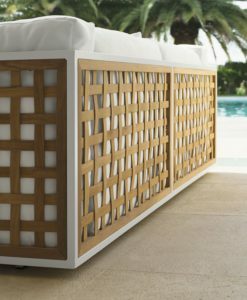 Shown here in vinyl rehau wicker and customizable in rope, stamskin or batyline, with luxury sunbrella fabrics and COM with quick dry foam. 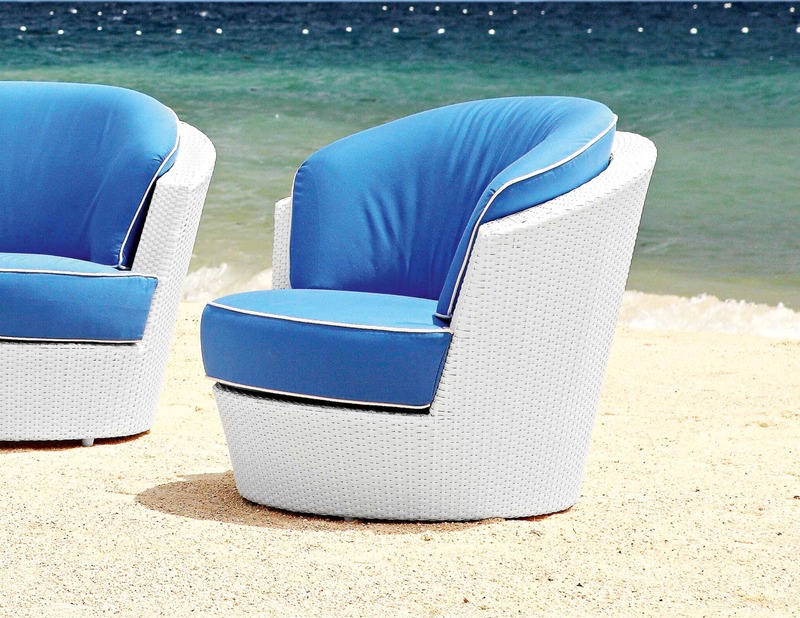 Weatherproof for commercial contract use via luxury hotels, clubs, yachts and cruise ships worldwide and able to handle even the harshest of weather elements. 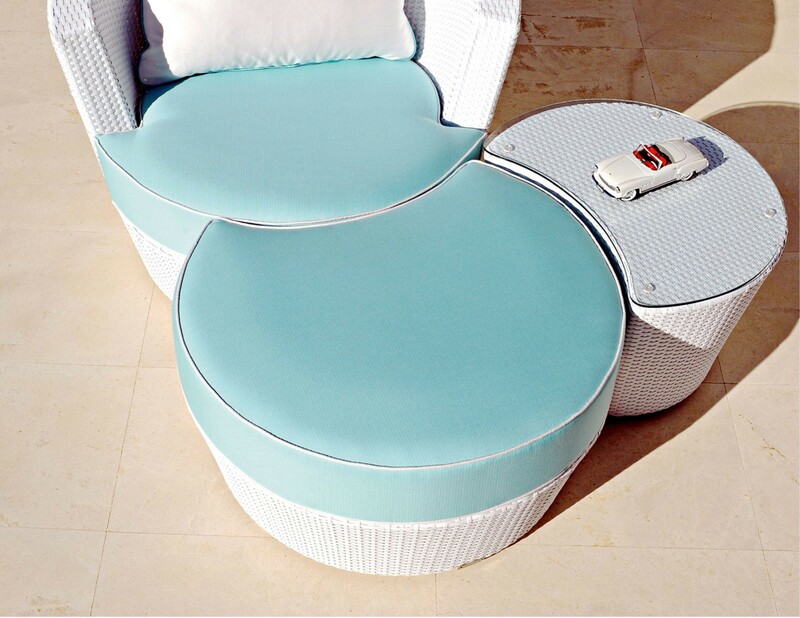 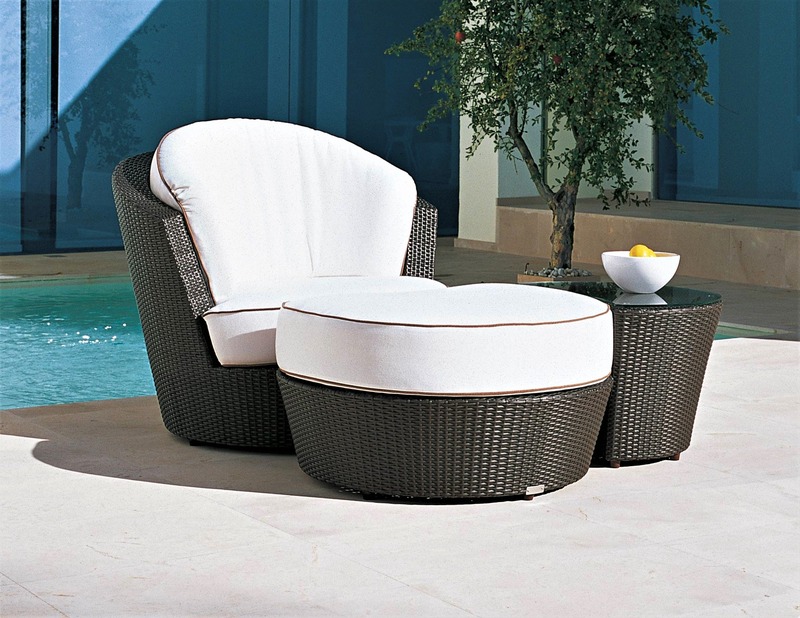 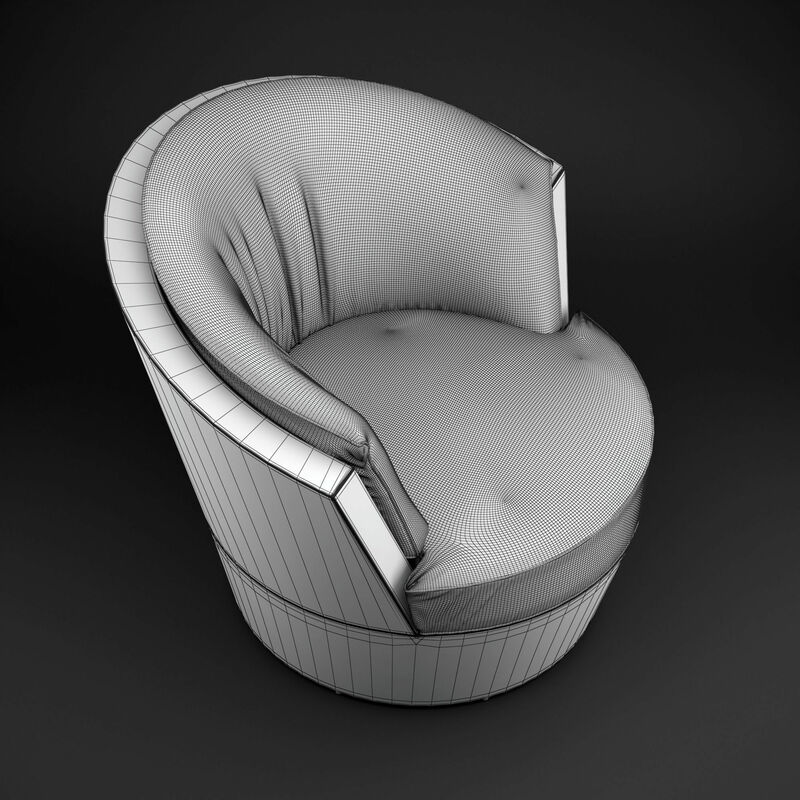 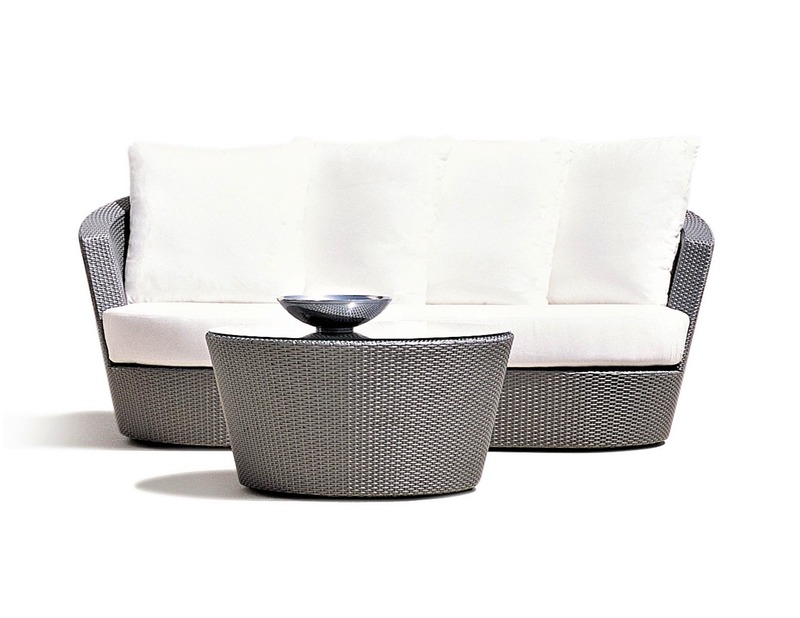 The cushions are made with a quick drying exterior foam and are covered with Sunbrella® fabric which is extremely resistant to moisture and colorfast against sunlight. 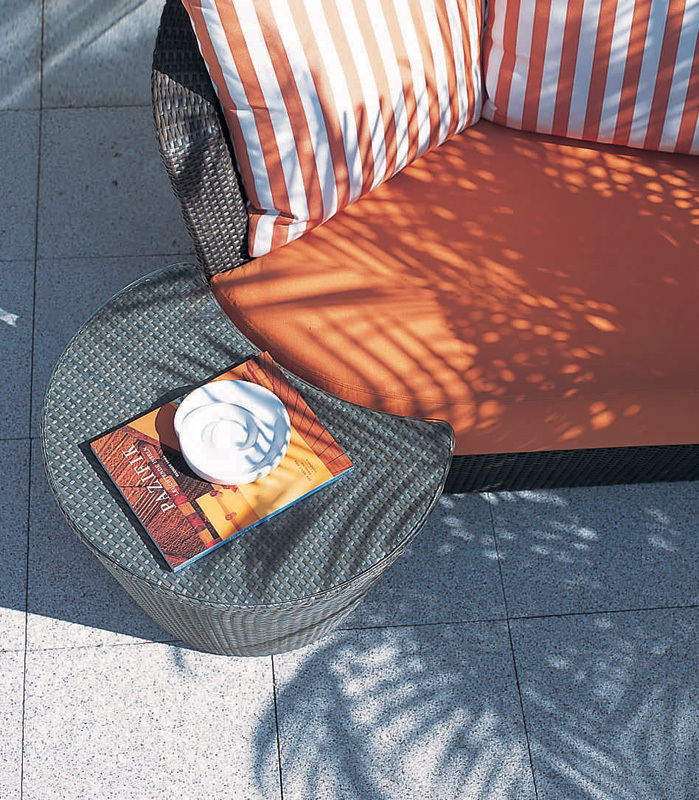 The cushion fabric is available in many different fabric colors. 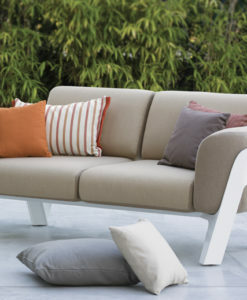 Cushion covers can be machine washed and are zippered for easy removal. 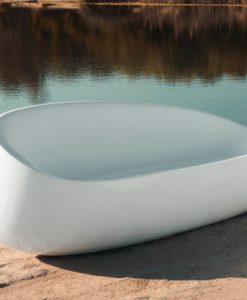 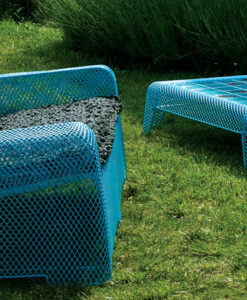 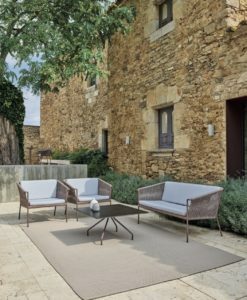 Rausch International, a German based International company for over 60 years has been a pioneer in development of the European luxury outdoor design market. 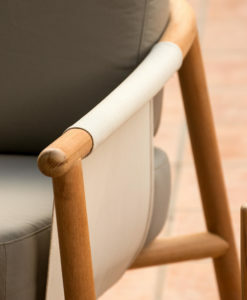 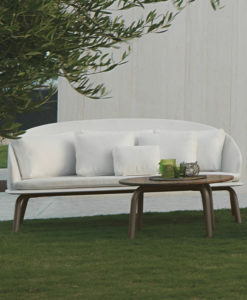 They are recognized and respected with a long tradition designing innovative and trend setting products of the highest quality furniture for outdoor use. 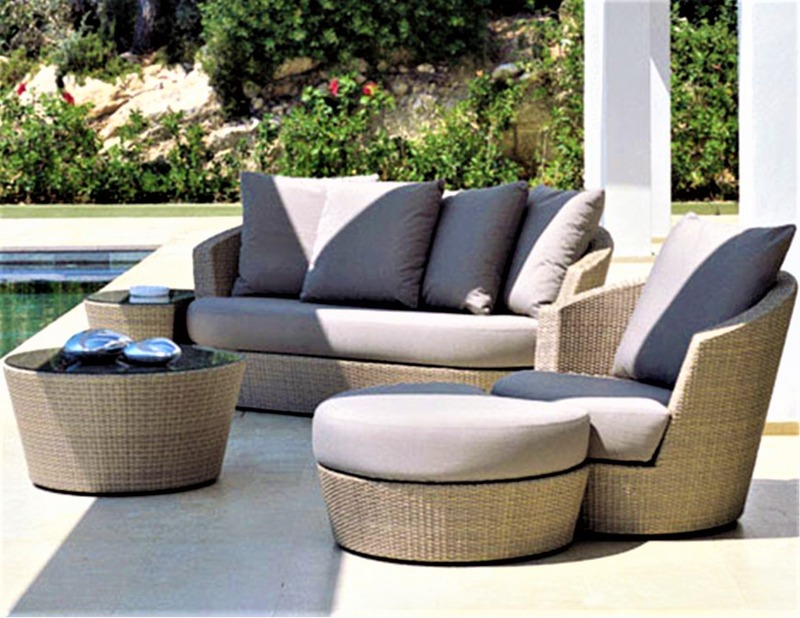 The name is synonymous for luxury lifestyle and exclusive living. 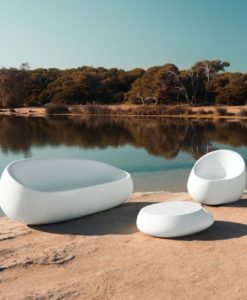 The sophisticated design collections of RAUSCH can be found in the world’s best hotels, spas, golf clubs, yachts, cruise ship liners and many places where extraordinary design, high quality and seating comfort satisfy exceptional demands. 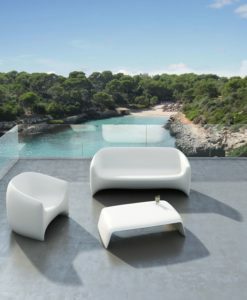 Thus, to this day, Rausch has been awarded contracts for the supply of more than one thousand luxury projects worldwide. 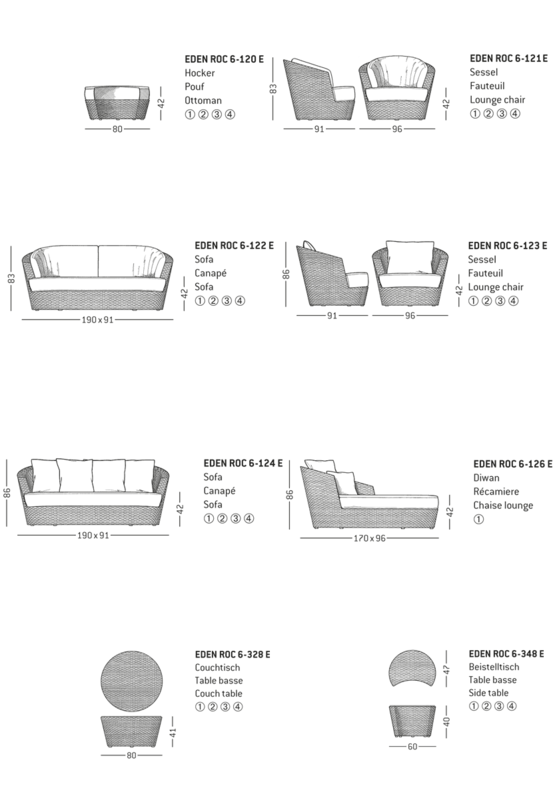 Rausch International is now based in Australia and serves markets globally. 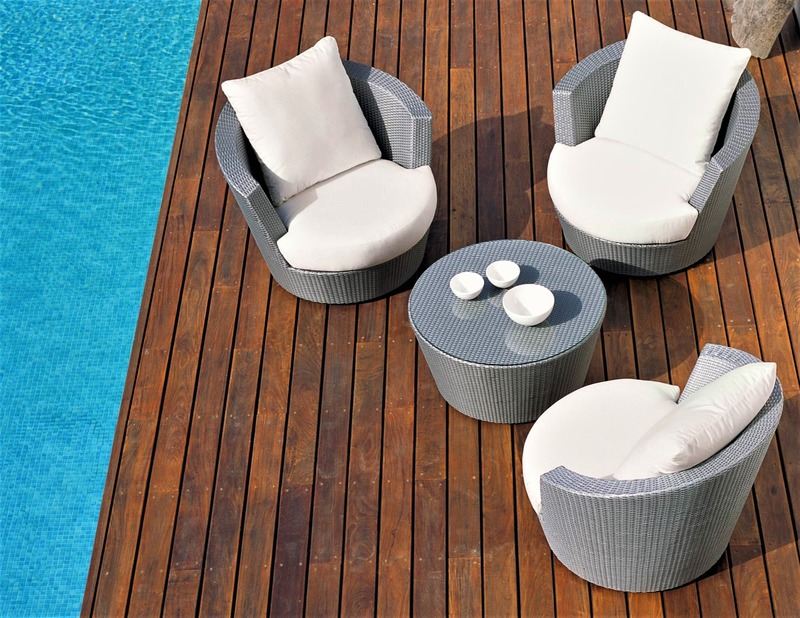 Many years ago, Rausch discovered the growing importance of leisure time spent outdoors, and with the slogan ‘outdoor living’ the outdoor dining, swimming and recreational areas turned into extended living areas for both homes and hotels. 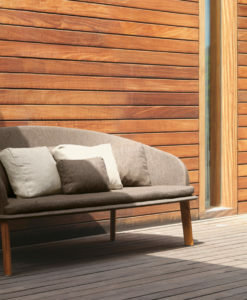 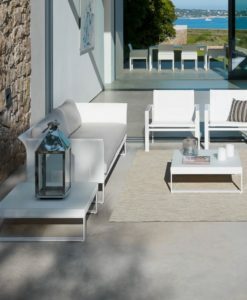 Today, patio or terrace furnishing is no longer limited to basic tables and chairs, but now includes elements appealing to comfort and luxury levels, previously only known for indoor products. 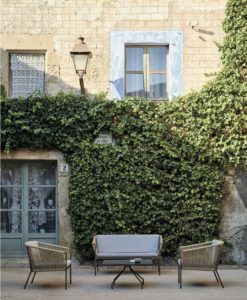 Deep seating and upholstered settings previously unheard of in outdoor situations are now pride of place within many Rausch collections. 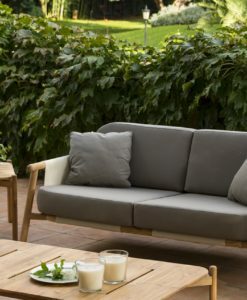 To cope with the varied design requirements in architecture and furnishing as well as the demands in the hotel and gastronomy business, Rausch offers everything from modern designs that can suit every taste and budget. 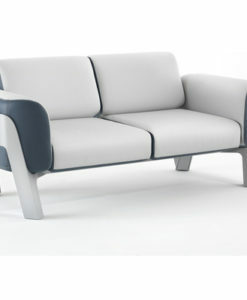 Moreover, we pride ourselves on the high quality in every piece of Rausch furniture. 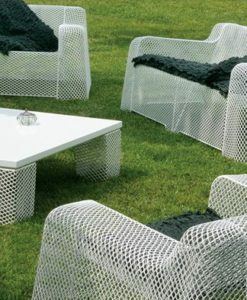 The use of various weatherproof materials, such as aluminum, vinyl wicker, teak, ceramics or fiberglass reinforced plastic (GRP), is integral to every Rausch product. In addition to design and diversity in the commercial and contract business, we recognize that many businesses strive for a ‘unique look’ and our design team has the ability to create and build to your specifications.